I’m becoming a digital scrapbooking monster. (Please click to view it full size). The background, frame, and badges on the side are from Scrapbook.com (I actually bought the sets that they are from). The buttons and the strips that the journaling is on is from Shabby Princess — but the really cool part (at least I think it is cool…) is that they were originally different colors, but I figured out to recolor them using Photoshop. I really need want Photoshop. (I’m just using a trial version right at the moment…). I also played with some cool tricks on the large photo. The background was already blurry, and I’m not sure if you can tell or not in the large view of the picture, but I kept the boys in sharp focus, and then used a filter to blur the background even more — kind of made it look like a painting in the background. On my way home from rehearsal (which is scheduled from 7 to 9 but we didn’t finish until 10 tonight…) I thought of something I was going to blog about, but from the time I thought of it until the time I got home, which was about 2 minutes, I forgot it. Oh. I just remembered. I was going to report on the fact that sticking the kids in costumes seems to have been a large step in the right direction. Phew. Plus, I got to play on the baby grand piano tonight, and boy is it sweet — a much nicer instrument than the one I’ve been using. I suppose it is also going to be a matter of the magic of the stage: it’ll all be there when we need it to be, right? Right? Please tell me I’m right…..
p.s. All of my blog readers should be thanking me for not sharing all of the songs that have been running through my head CONSTANTLY for the last 6 weeks. Pick a song from Grease — any song — and it’s probably been stuck in my head at some point. Most notably in the middle of the night when I’d really rather be sleeping…. Hey, these look great! I like your digital scrapbooking pages much better than I like many of the analog scrapbooking pages I’ve seen. As for the scrapbooking — nope, will not go there, I have enough crafty obsessions thank you very much! But I have to agree with you about photoshop. I’ve wanted that one for AGES. Sigh. Now I just have to figure out how to pay for it :0). 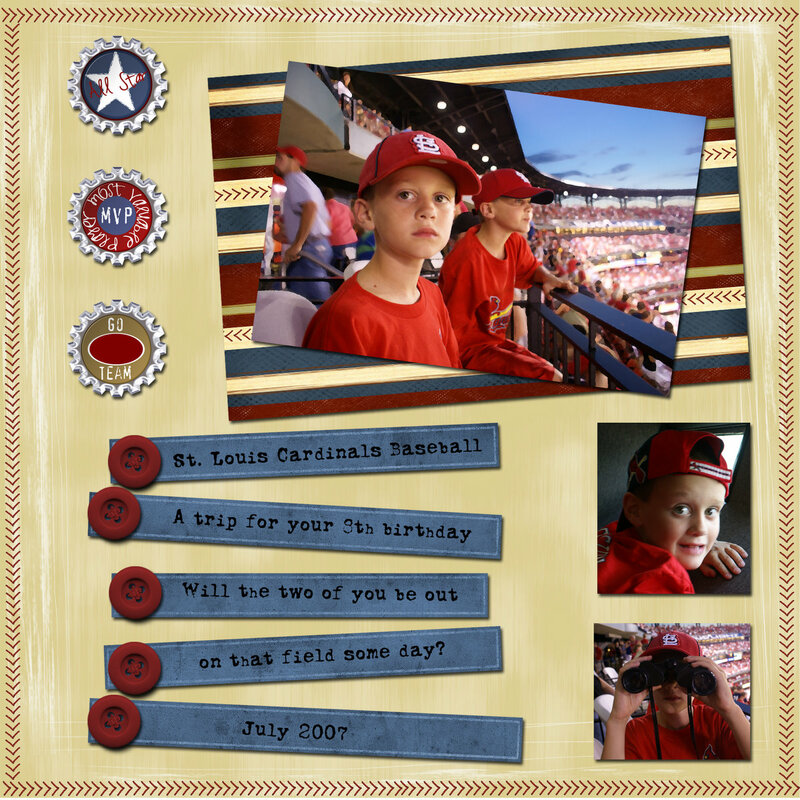 Your digital scrapbook pages are cool. I’m pretty sure I’ll not be going into the scrapooking world ever – but you never know do you? Hope you get those dreaded songs out of your head soon!